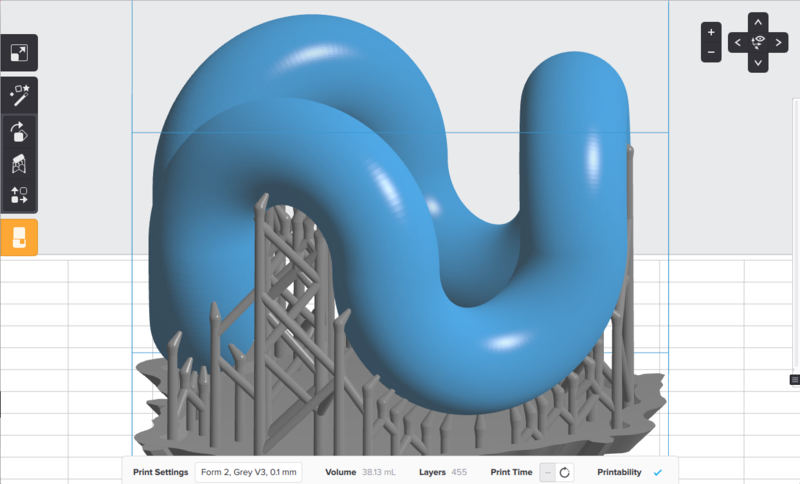 We’re excited to share the latest updates to PreForm, the software that prepares your 3D model for the Form 2, bundled with a new version of our firmware (the software that runs on the printer). In this version, we’ve improved the way PreForm calculates and displays information about how well your models are supported, including some big bug fixes and a new, simple indicator to let you know whether or not a model is printable. Download the new version now, or read on for details. If you’ve been using PreForm for a while, you already know that after you add supports to your model, PreForm highlights any areas that aren’t supported well. These red areas indicate that you might need to add more supports manually or change the model’s orientation. We’ve also been busy hunting bugs in the printability calculator, so if you’ve seen questionable results for some models in the past, please try those models out again with PreForm 2.11. PreForm offers basic and advanced support settings. Learn how supports work and best practices for using PreForm to create support structures in our PreForm video series. 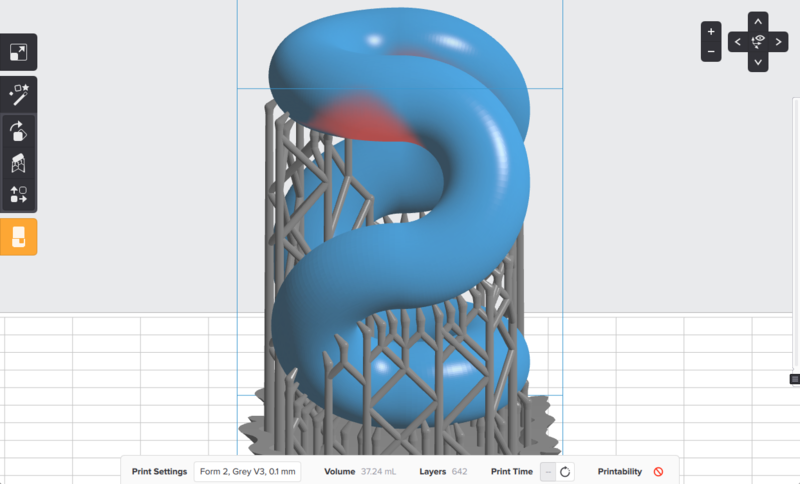 To learn more about how to use the printability calculator to improve your prints, check out the Advanced Support Structure Settings section of the documentation. In the bottom right corner of PreForm, we’ve added a simple printability indicator to help you determine whether your print is likely to succeed. In the example below, we can see that the lower parts of the loops are well supported, but the upper parts might have some problems printing. If you hover over the printability indicator, you’ll see some details about what’s wrong, with a link to our documentation on What Supports Do. The areas highlighted in red indicate that this model may have problems printing. In a case like this, to avoid the need for internal supports, it’s usually better to orient the part so that taller portions of the model aren’t hovering directly above the earlier layers. Re-orienting the model removed the red highlights, minimizing the chances of a print failure. In the successful case above, the printability indicator has changed to a check mark. That means that your model is well supported and you’re ready to print!